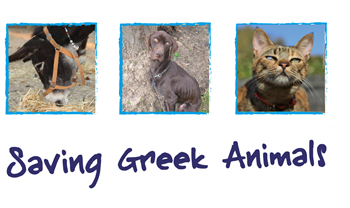 Caring for the Animals Trust or CARAT for short is a small charity operating out of the U.K.. Their mission is to help animals in Greece. There is no SPCA of any sort in Greece & there is a lot of neglect & indifference towards animals. No stray has a good life but in Greece they often face terrible cruelty. • funding the sterilizing of strays (catch & release) either individually or through campaigns with volunteer vets. • supplying live traps, medical equipment & medicine. CARAT doesn’t just help cats & dogs, they also rescue abandoned or unwanted donkeys – saving them from the “meatmen” who sell them for slaughter. CARAT assists in transporting these donkeys (sometimes mules or horses) to a new happy life in the UK or their supported donkey shelter in Crete. It feels good knowing there is such caring humans. Please visit the CARAT website or Facebook page & help out if you can. We have been following their efforts & accomplishments as long as I can remember. There are so many strays in Greece, especially cats. Thanks for much for sharing this story about a caring group.